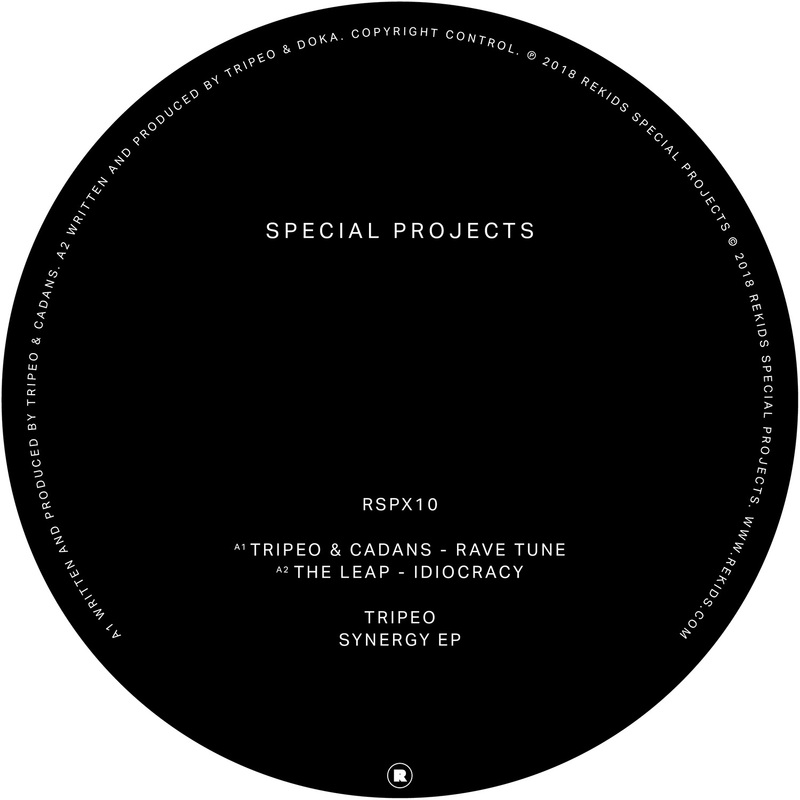 Wolfskuil founder Tripeo aka Darko Esser presents four esoteric cuts titled ‘Synergy EP’ on Rekids, including collaborations with Doka (as The Leap) and Clone Basement’s Cadans. As Darko Esser the Dutch DJ, producer and label owner has been active for over two decades, helming his illustrious Wolfskuil Records label, which has recently hosted records from Shlømo, Cadans and Rumah. Following a series of releases on his eponymously titled Tripeo imprint, Esser’s appearance on Rekids is his 2018 debut and marks his first outing on another label in nearly five years. Alongside fellow Dutch producer Cadans, who has releases on Neighbourhood and Clone (when not producer drum and bass as Icicle), ‘Rave Tune’ kicks off in emphatic style, delivering alluringly bright strings and oscillating bass slabs. Esser then pairs up with Doka as The Leap, producing alarming synth swirls and thudding percussion for an energy filled spectacle titled ‘Idiocracy’. On the flip, Tripeo balances otherworldly chords with slick drum design in ‘Need For Nuance’ before concluding with ‘Zeitgeist’ with its electro styled groove layered with glistening melodies, eccentric sonics and heavenly leads throughout.